Looking for an organic herbicide for your crops? 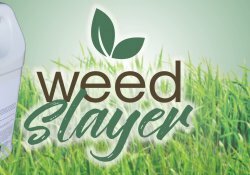 At Skagit Farmers Supply, our agronomists recommend Weed Slayer. This herbicide kills the weeds from the roots, which allows for a clean floor and a convenient harvest. Weed Slayer is created by Agro Research International, and in this video, our agronomists demonstrate the effectiveness of the product on organic hazelnut trees. Skagit Farmers Supply distributes Weed Slayer and other Agro Research products for the Pacific Northwest and Hawaii. For more information about Weed Slayer or our other Agro Research products, contact the team at Skagit Farmers Supply today.